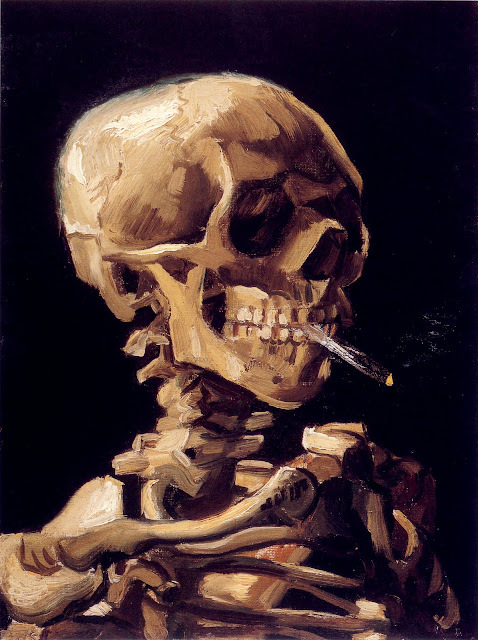 It has been established as a fact that Van Gogh was exposed to lead through the careless handling of toxic pigments, and that his malady was analogous to saturnism, and met the criteria for “organic mental disorder” and “organic personality disorder”, in a causal relationship with the toxic antecedent (these diagnoses are made following current mental disorders classifications criteria). Lead may have penetrated the artist’s organism through the digestive tract, ingested by accident or voluntarily, there being circumstances that favored its penetration and its intestinal absorption. Small daily doses suffice to cause poisoning through bio-accumulation in a few months. Documentary research allows us to correlate the artist’s malady with the accumulated knowledge about saturnism available today. We do not have, however, the necessary laboratory test results that would have confirmed the clinical diagnosis (blood levels of lead and free erythrocyte protoporphyrin). Toxicological analysis of bone samples would be doubtful, since lead accumulates in bone epiphysis in a very labile fashion. In any case, excreted poison may be detected in the permanent skin structures (hair, nails, etc.). Besides all this, we agree with other researchers that Van Gogh’s illness did not structure or empower his artistic creation; his pattern of creativity was prior to the disease and was interrupted during the crises. We believe that only by judging Van Gogh’s case from the perspective of the “diseased man” and the “lucid painter” can we do justice to this avant-garde artist, whose single, excruciating passion was to feel the colors of nature in their purest form. Few painters might conceive today such a disinterested passion for art. Van Gogh lived for art , and in the end he died for it. In the last lines of the letter found on him after his death, he wrote about his profession: "I risk my life on it, and my reason has half-foundered”. But he wanted to take no further risks, and so he tragically decided to end a life full of color and torment.